And for the first twenty minutes or so, I was yet to be convinced. The film opens with a large-scale ensemble number, but unlike classic company numbers, the vocals are subdued and filtered through a produced sound, resulting in an oddly sedated energy. Though on a first watch, this energy prevents you from immersing yourself in the action, as the film progresses you realise that this very much emulates the protagonists’ own isolation. There is so much going on around them, but they remain outsiders, unable to fit in with the peculiarly synchronised rhythms of everyone else. As the plot progresses and the leading pair undergo their own development, the music unfolds into a much more raw and accessible expression. While there are many stylistic homages to classic musicals and the ‘Golden Age’ of Hollywood, the overarching style is unique and, to begin with, perplexing. It’s dreamlike or magical, but somehow even more abstract, like the essence of a dream rather than the dream itself. It’s as though you’re watching something that’s just above you or just out of reach, and until you can shrug off the binds that plant you in normality, you are not light enough to join the world before you. There is certainly a necessary adjustment your brain must make, and judging by general reactions to the film, you either get there or you don’t. Without giving too much away, La La Land follows the story of Mia (Emma Stone), an aspiring actress and Sebastian (Ryan Gosling), who dreams of opening a jazz club, and Stone and Gosling’s chemistry is alluring from the outset. The plot, which follows their individual dreams and the ways in which they intertwine, is brilliantly paced, and remains somewhat surprising even in its most predictable moments. Although there is no denying that La La Land is a musical, it doesn’t force the genre upon you or thrust it into the foreground. Instead, Stone and Gosling appear to be playing around with music and dance, dabbling even, and there is no purpose or motive in their efforts, they simply get on with it with a glint in their eyes, daring you to join them. The soundtrack is full of delicate, thematic and often foreshadowing music, and the vocals throughout are understated and delivered almost flippantly. The score, which is infused with musical theatre, classical, jazz, filmic themes and more contemporary sounds, surges and soars to moments of pure euphoria. 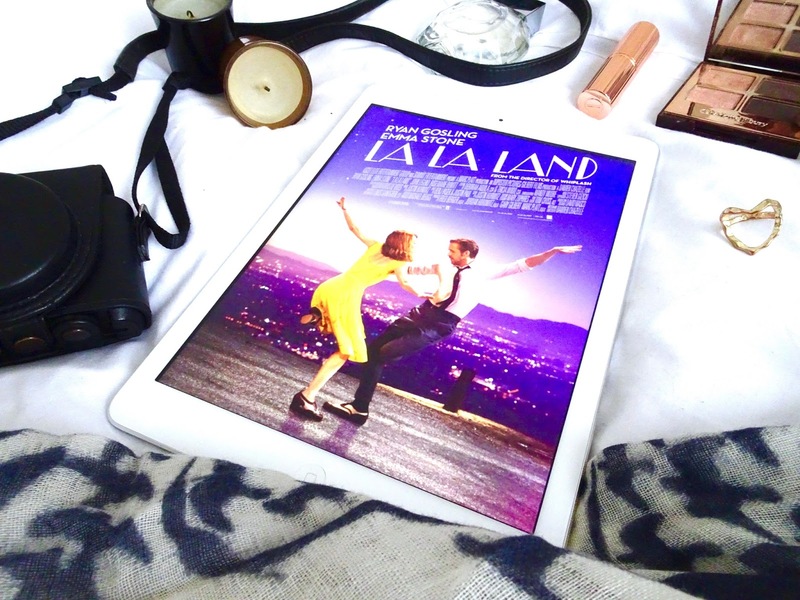 Reviewing La La Land or simply capturing it in words is a difficult process, and this is because it is so intricately and irrevocably comprised of binaries. You may claim it to be embedded in realistic dialogue, but it exists simultaneously in the surreal. It is both euphoric and heart-breaking, playful but serious, dramatic yet understated, and fundamentally as nostalgic as it is refreshing. Whether you are someone who lives and breathes every second of the film, or someone who just can't get into it, it is undeniably a visual treat, composed of stunning cinematographic sequences. And, if you’re going to see La La Land at all, you must catch it while it’s still in its full big-screen glory.